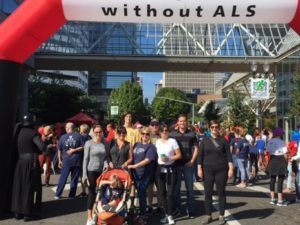 Last Sunday a team from NW Staffing, family and friends joined together to Walk for ALS. We were able to raise over a $1000 for this great cause, and enjoyed beautiful weather on our walk along the waterfront in downtown Portland to raise awareness and funds to work to end this disease. To find out more about this great cause, go to our team page http://webor.alsa.org/goto/NorthwestStaffingResources. We will be raising funds through December!! !